For my Transmog with Tabards series I've decided to start out with the Alliance and Horde Faction Tabards. I wanted to pick up the red within the Tabard and I think the Belt along with the red in the Legs do a good job of highlighting it. While Dreanei don't show boots very well I liked these on my human so they should work for other races too. You've done it again. Stunning. You have real talent. Very nice! 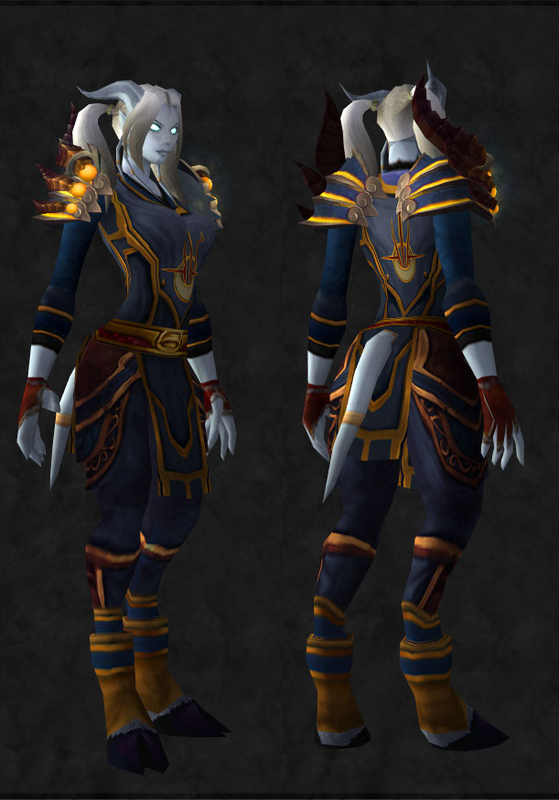 Those shoulders look great with that tabard, and the touches of deep red are lovely!